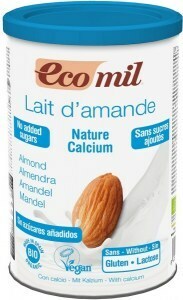 EcoMil is a Spanish brand with a line of almond milks and other organic and vegan non-dairy milks. 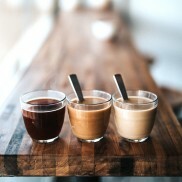 Their healthy, nutritious and ecofriendly beverages are available both ready-to-drink in bisphenol A and phthalate free Tetra Briks and as instant powders that mix easily with hot or cold water. Nutriops, the company behind EcoMiL organic almond milks, was founded in 1991 by the inventors of a new way of preparing the traditional Spanish beverage. Instead of heating almond paste with water on the stove top, their almond powder dissolved instantly in hot or cold water. 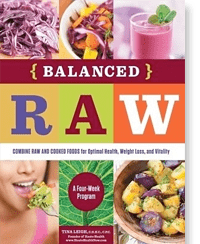 To make sure that the convenience didn’t come with a cost, they kept their products organic and vegan. 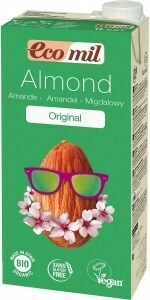 The powder proved so popular that Nutriops launched a ready-to-drink almond milk just a few years later. 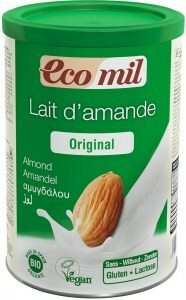 Today EcoMil is the leading organic almond milk in Europe and is sold in over 50 countries worldwide. EcoMil non-dairy milks are plant based, organically grown, and packaged in environmentally responsible Tetra Brik containers that are both recyclable and FSC certified sustainable – so besides being lactose-free, these exceptionally ecofriendly beverages have a carbon footprint just 20% that of cow’s milk. They’re produced from premium Spanish almonds and other natural ingredients under some of the world’s most stringent quality control standards, resulting in consistently superior taste and nutritional value. 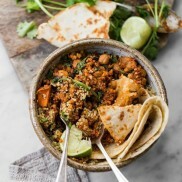 All are vegan, almost all are gluten-free and low in sodium, and several available varieties are sugar-free or sweetened with low glycaemic index agave syrup.